The Infinity Trap is what happens when Ender’s Game, Harry Potter, Star Wars and Grange Hill are popped in a Tardis and shaken about a bit to create a wonderful, gripping could-be-the-end-of-the-world tale for those reluctant boy readers. With strange languages, bots and prophecies, The Infinity Trap is the story of Zeke, who has cheated on his entrance exam in order to get himself to Chasm, an elite off-world school for psychics, where he hopes to pick up the trace of his missing father. But something more sinister than the usual school bullying is going on at Chasm and when the school’s youngest student, Pin-mei, is kidnapped, Zeke must abandon his quest and set out to find the creature who took his friend. After all, the future of the universe could be at stake. But in a school where everyone has a psychic skill, it’s a tall order. 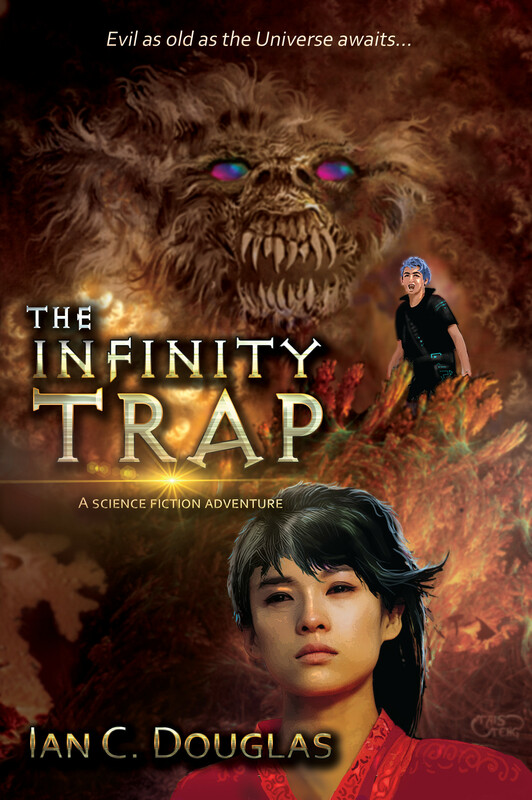 Terrific dialogue, some wonderful technology and edge-of-your-seat plotting, makes The Infinity Trap the perfect book to drag middle graders and younger teens away from the screen and into reading. This entry was posted in Review, Title and tagged ian c douglas, lee murray, review, the infinity trap. Bookmark the permalink.